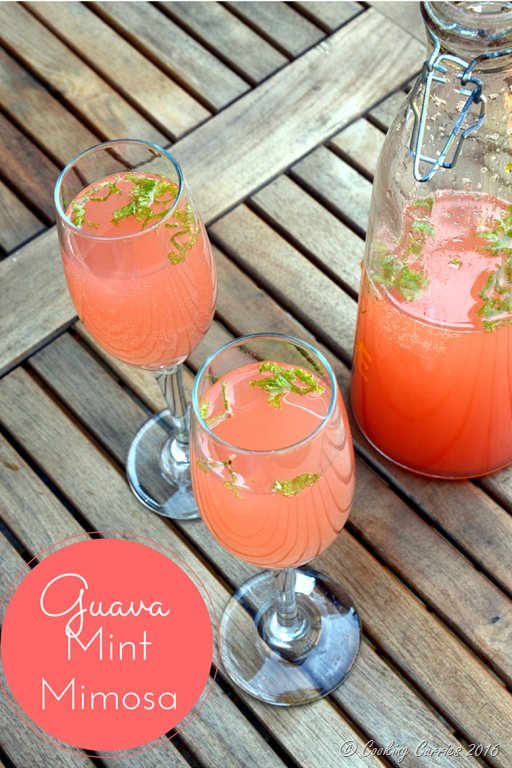 Every brunch needs a good mimosa and this Guava Mint Mimosa will be your new favorite! There is nothing much to talk about this. 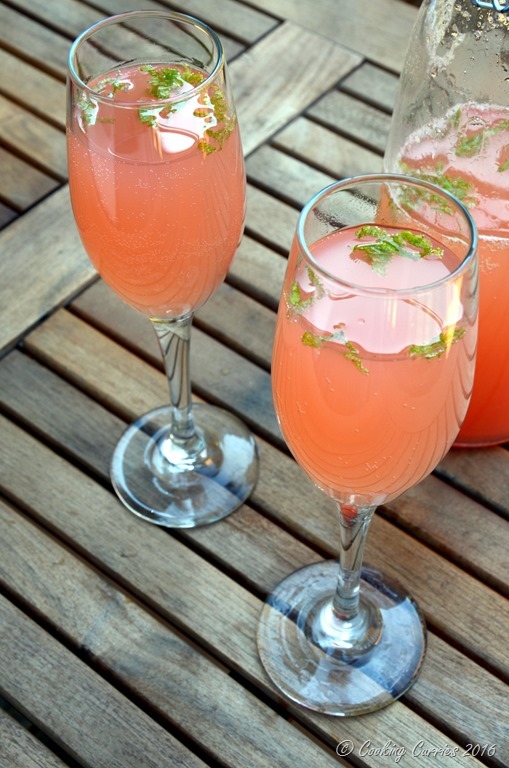 Its guava juice, mint and Prosecco! That’s it! The sweet delicious combo that a Sunday brunch so deserves! We had some tropical blend Italian soda from Whole Foods and there were some bottles of bubblies sitting around from a party we hosted sometime back. I wanted to make a fruity something mimosa. I thought of combining these two. But carbonated + carbonated – I felt like I was wasting some carbonated something here by having a double dose of it. I decided to keep the Italian soda for later and paired the sparkling wine with some guava juice. I have a thriving herb garden in our backyard and I decided to get some fresh mint from there to add to the drink. It needed a little sour – citrusy something. In went some Triple Sec and we were good to go! 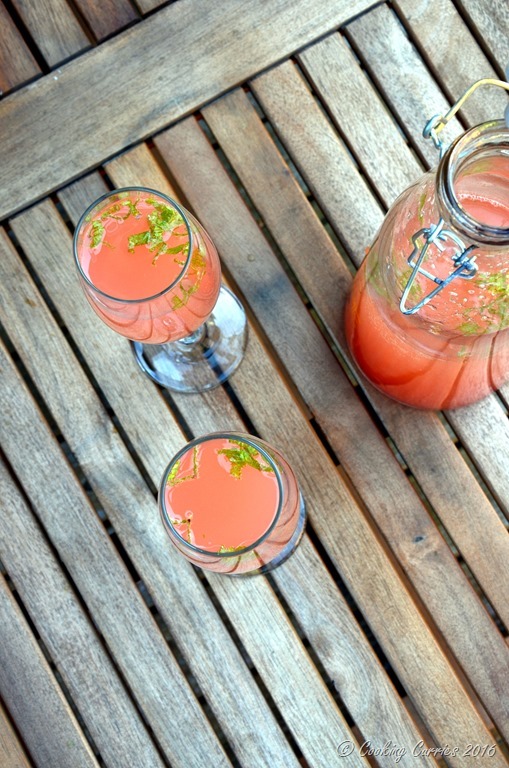 In a pitcher, pour out the guava juice and the sparkling wine. Add the triple sec and mint leaves. Serve. Top with more sparkling wine if needed. The mint and guava part looks so yummy – Thanks for sharing! I love this idea of switching out the orange juice for guava juice. Yummy! I love mimosas, this looks so refreshing, beautiful color too! Guava and mint? How did you come up with this delicious combination? It looks very creative. Gorgeous and so creative! This is a beautiful cocktail! Love the flavor combos. This drink has me dreaming of Summer! Pinning and sharing this one!